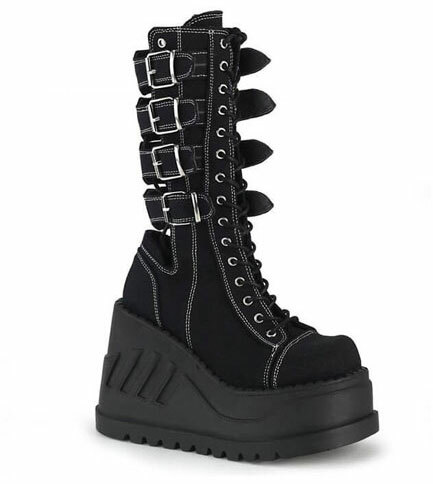 These mid-calf platform boots have a lace-up front with an open back. 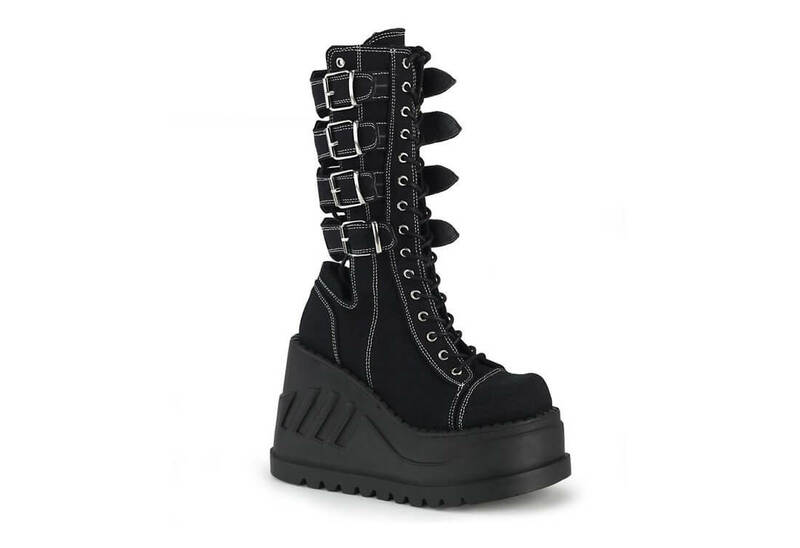 The four buckle straps have metal plates at the center. The boots are trimmed in double white stitching.